Cushioned plastic splint fastened securely to the foot with straps. The anatomically contoured stabilizing orthosis consists of a cushioned plastic splint fastened securely to the foot with straps using a simple Velcro system. Under the heel, a slight rai-sing of the outer edge tilts the foot inwards, so that the outer ankle ligaments are relieved. Flat micro-Velcro fastenings are used to adjust the level of support. The stability element can be reshaped thermoplastically. 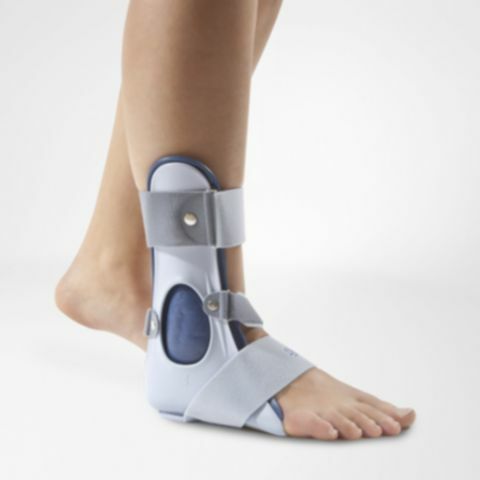 Partial immobilization with CaligaLoc thus guarantees optimum wearing comfort until a greater degree of mobility is possible.